All the other children were special guests at the wedding and enjoyed throwing confetti over the Bride and Groom as they left the Chapel. 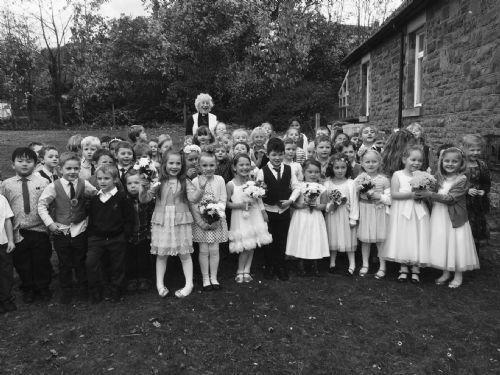 The Bride and Bridesmaids held flower bouquets for our wedding and the children coloured in wedding pictures in class. Thank you to the parent helpers who helped us walk to the Chapel. And a special thank you to Reverend Glenys Hughes for holding our Wedding service! Take a look at our photos below and for even more photos click on 1FM class page!